Special no trade in Price. Call us on 01224 722227 for your best price if you have a caravan to trade in. Exclusive to Dyce Caravans. 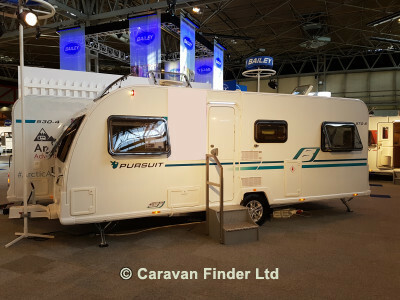 The second Generation Bailey Xtreme Pursuit is better than ever. With a host of new features over and above the standard Pursuit specification. Al-Ko ATC, Truma I Net, Al-Ko Secure Wheel Lock, Caravan Jack, Bespoke Bedding Set, External 240v Socket and Exclusive Xtreme badging.